As someone who spent 36 hours in airports after the August 2016 power outage at Delta, this is concerning news for sure. After all, when you are stuck in an airport it isn’t necessarily your fault thanks to layovers and late flights. But it turns out there is actually a whole bunch of budget travelers who use airports for free hotels when there are plenty of for-profit hotels around. As a result, airports are banning sleeping. Are these bans something we will be stuck with down the line in US airports? 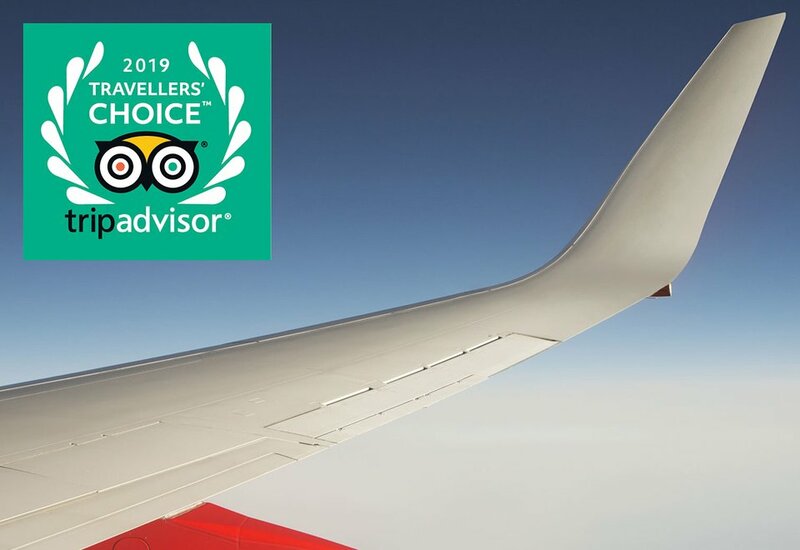 Across the pond, the London Stansted Airport is putting a stop to the free zzz’s and it’s not the only airport doing so. Several airports in Russia including the newly renovated Moscow Domodedovo Airport are also banning sleeping. The reason being? Russia, in particular, is hosting major sporting events in 2018 while London is notoriously an expensive city for travelers. Local accommodations are sky high in price, so fans are sleeping on airport floors to save some rubles or pounds. Not the best way to rest but considering the price of one of those FIFA World Cup tickets, you can easily see why they'd want to cut costs. But what happens when flights are delayed or travelers are stuck in airports for overnight layovers? It would be cost prohibitive to go around and wake every sleeping flier to see whether or not they rightfully sleeping in the airport. By the way, these people are sleeping on concrete floors covered in carpet trampled by millions of feet a day. It is not necessarily the most sanitary or even the safest place to sleep, with your personal possessions loosely tucked under your arm. Some airports make it easy for you to sleep when you need it. Airports offer hotel shuttles to local accommodations if you have a long layover and need a few winks. If you need a nap, check out your airports to see if they offer onsite facilities. 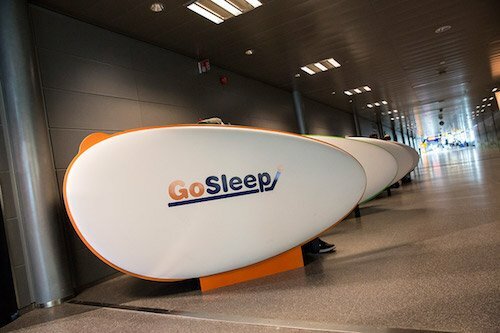 The Schiphol Airport Hotel in Amsterdam has been providing GoSleep PODs that look like space eggs since 2015. Other airports doing the same include Abu Dhabi, London Gatwick, Helsinki, and Atlanta International. These pods cost anywhere from $15 to $30 an hour depending on the location and optional amenities. For example, you can get a wakeup call or high-def TV in some of the airports. At the very least, you have a secure, quiet, and comfortable place to stretch your traveling legs between flights. Bottom line, most people aren’t going to sleep in an airport if they have a better option. Hopefully, the US airports will avoid jumping on this bandwagon of outright banning sleep. Otherwise, it would be so wonderful to have those sleeping eggs at all of the airports just for this purpose. What a winner! Airports would increase profits and reduce the number of bodies sprawled in terminal halls. Travelers would be able to get some genuine sleep without worrying about being stepped on or hearing obnoxiously loud announcements. More importantly, the next time you try to nap in an airport you won’t be stuck with prison-bright lights on overhead.